Drink to the long, strange days of the past 50 years. Set of 4 16-oz. 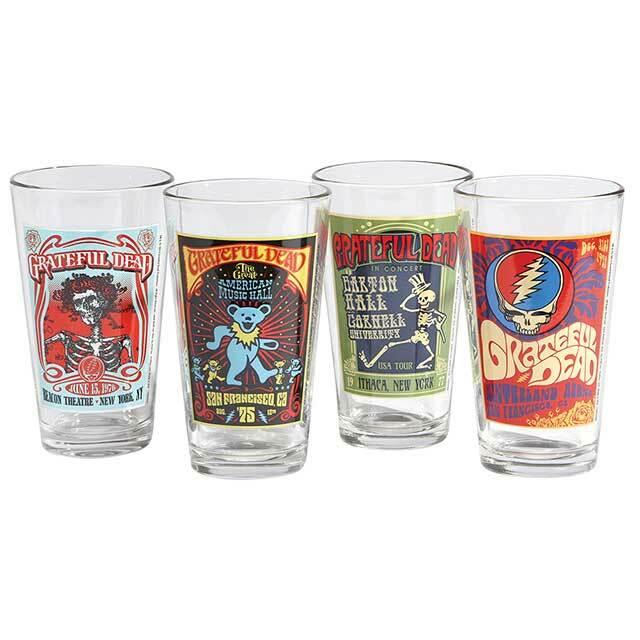 pint glasses, each one featuring an iconic, full-color Grateful Dead concert poster. Top-rack dishwasher safe.